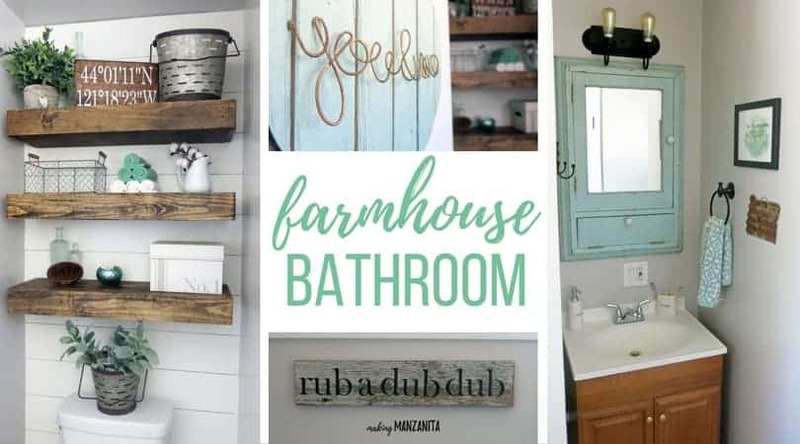 In this post I show you how to make an ombre painted wood sign for farmhouse master bathroom. 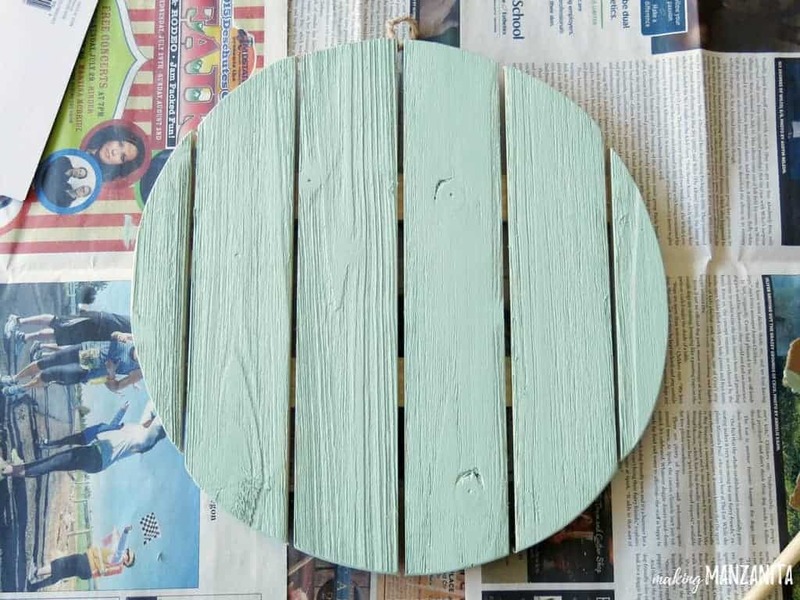 If you love the ombre look, this is definitely a unique DIY project for you! The ombre trend took the world by storm in the 2000’s and is still rockin’… ombre hair, ombre nails, ombre painted walls. Just about everything can be painted ombre. 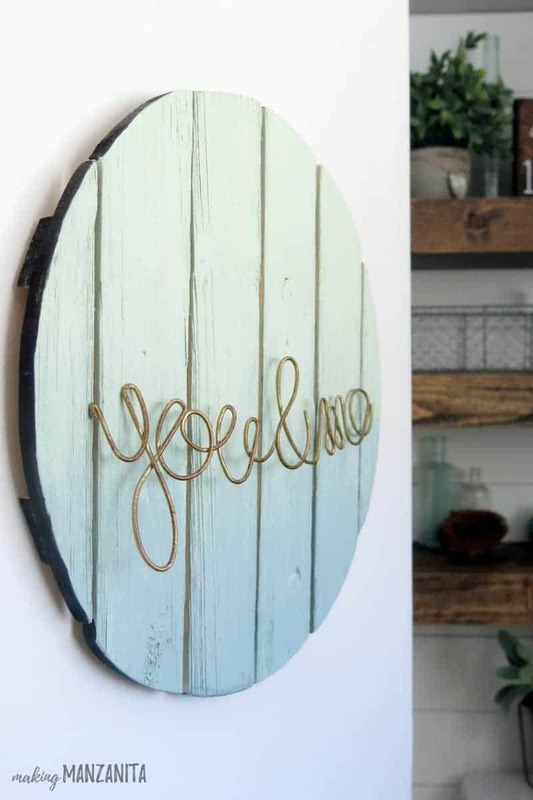 I remember when I saw this ombre effect on this painted sign years ago, I knew I needed to make my own ombre painted wood sign! If you don’t know what ombre is…it is gradually changing from one color to another, typically from light to dark. We revealed our farmhouse master bathroom makeover last week and I can’t wait to start showing you all of the fun DIYs! 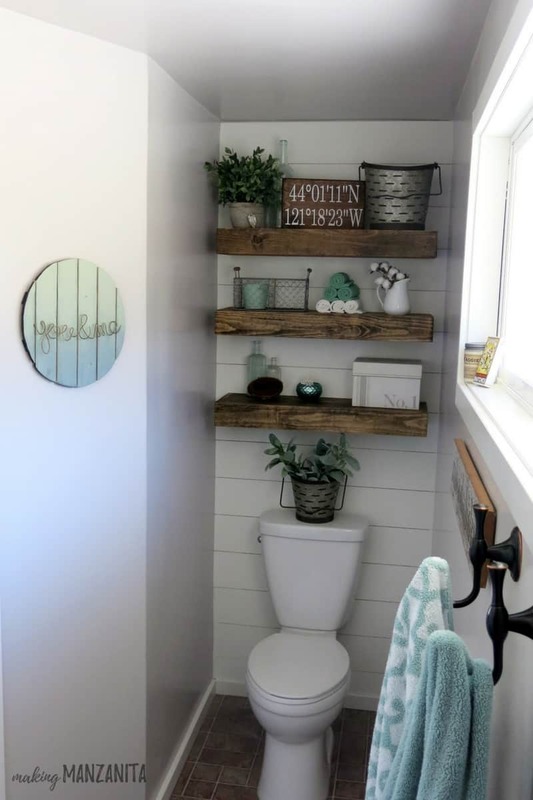 When I was planning our farmhouse master bathroom, I knew I needed to make something for this small wall next to the door. It just looked like something was missing. I love how easy this ombre effect was to create on this wood sign. Even if this is the first wood painted sign you’ve ever made, I promise that you can do it. Step 1. Paint sign with main paint color. Start by using a foam brush to paint the entire sign with your main paint color. To get the ombre effect, you will layer the lighter and darker colors on top of the base color. Step 2. Add in lighter color. 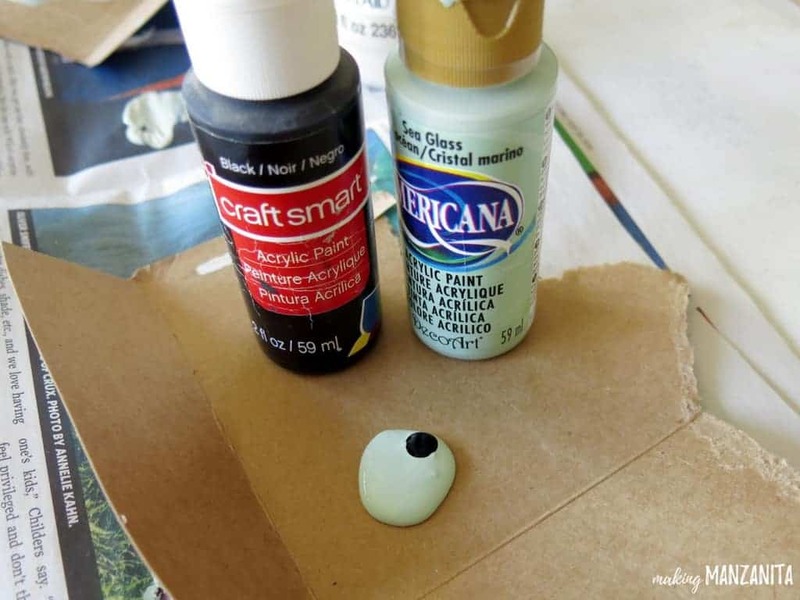 To make the lighter color, just add in a dab of white acrylic paint to your main color. 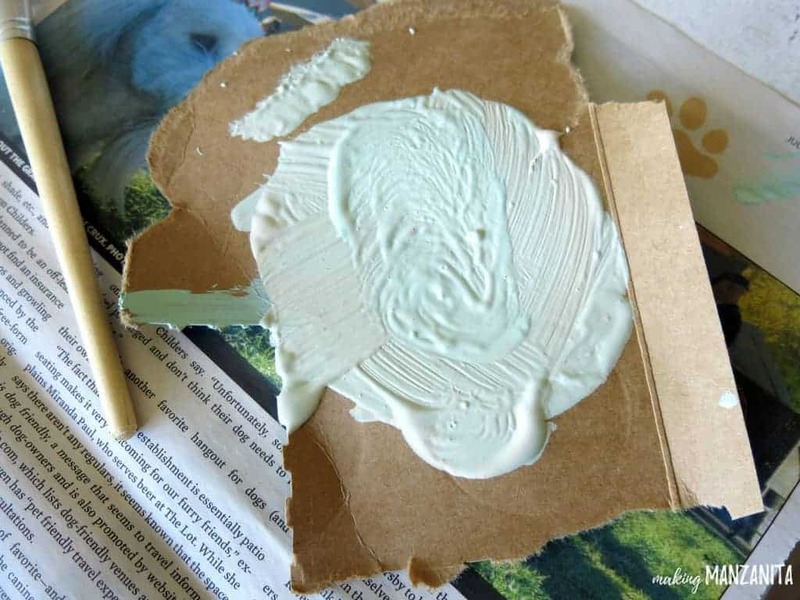 Mix together the paint colors together on a piece of cardboard or paper plate. 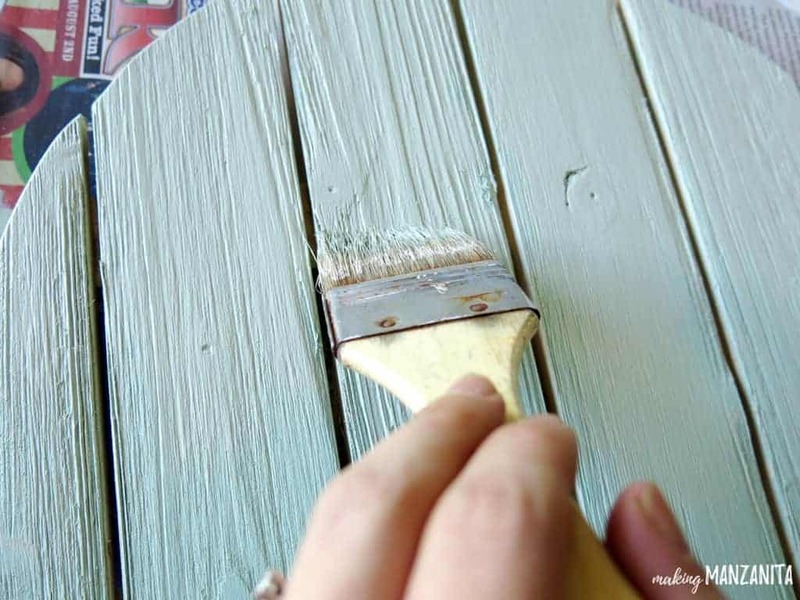 I used a bristle paint brush like this for the lighter and darker layers of the ombre sign. 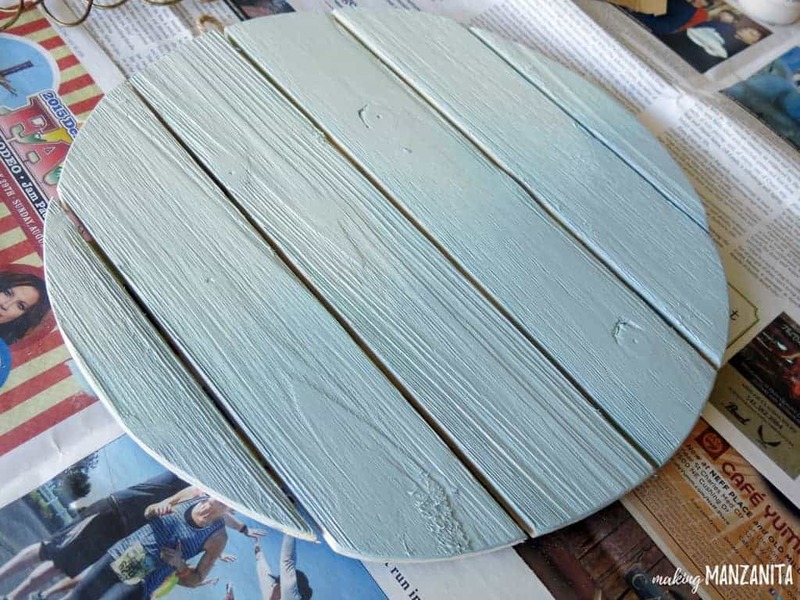 You can continue adding more white paint as you get to the top of the ombre painted wood sign. Step 3. Layer on darker color. Just like you made the lighter color by mixing in white acrylic paint, you make the darker color by adding in a dab of black paint. Remember a little goes a LONG way with the black paint. 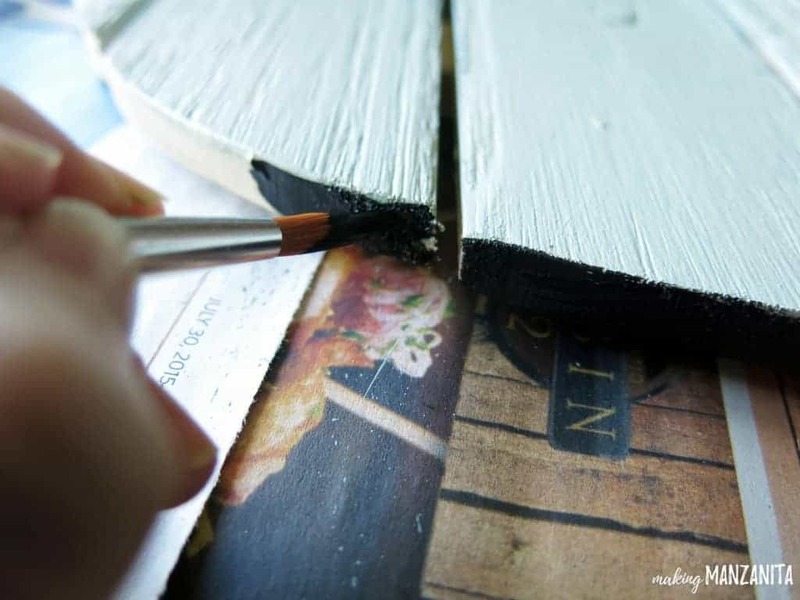 Continue adding layers of the darker color as you make your way to the bottom of the ombre painted wood sign. I decided to paint the edge the wood sign with black paint to make it look a little more “finished’. Step 5. Attach wire word. 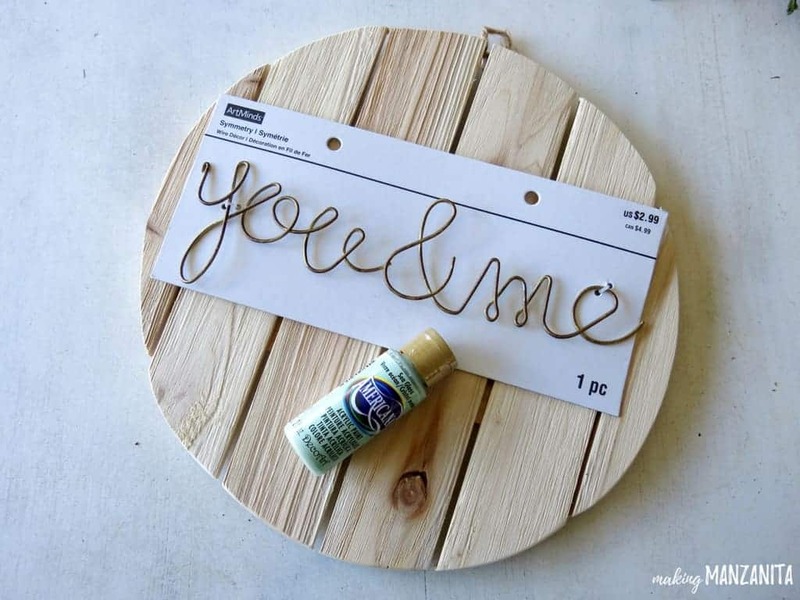 Don’t you just love this wire word design with “You & Me”? I wasn’t too sure how I was going to attach it, but I knew I’d figure it out! I ended up using fishing line so it was almost invisible looking. 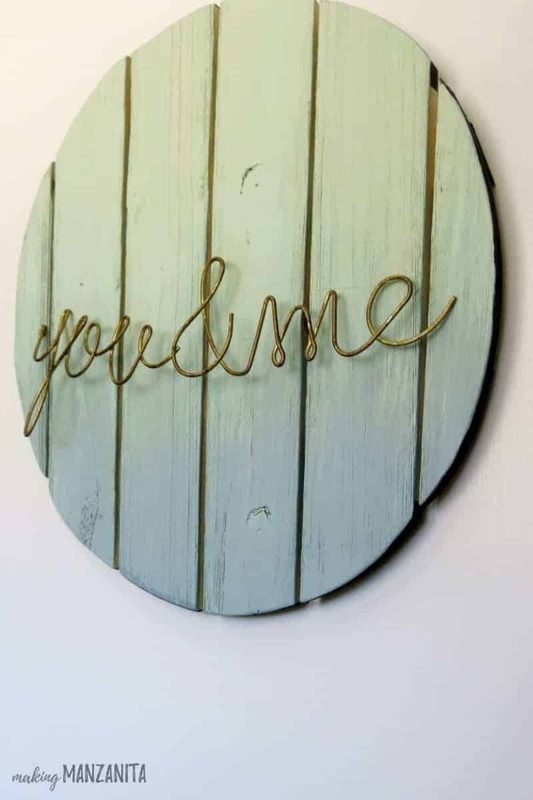 The “you & me” sentiment is perfect for a place like a master bathroom. Are you ready to bring the ombre effect into your home decor? 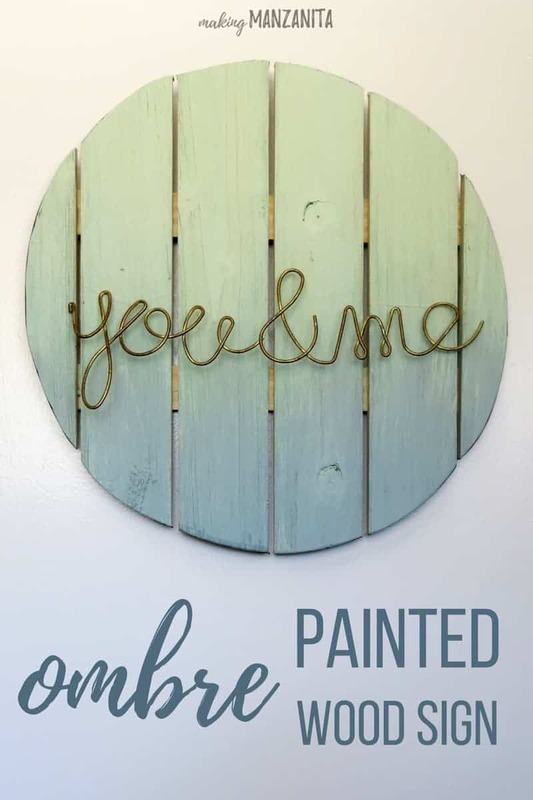 Creating an ombre painted wood sign is easy by simply layering lighter and darker versions of your main paint color. There are so many different color combinations and types of signs that you can make using the ombre paint technique. 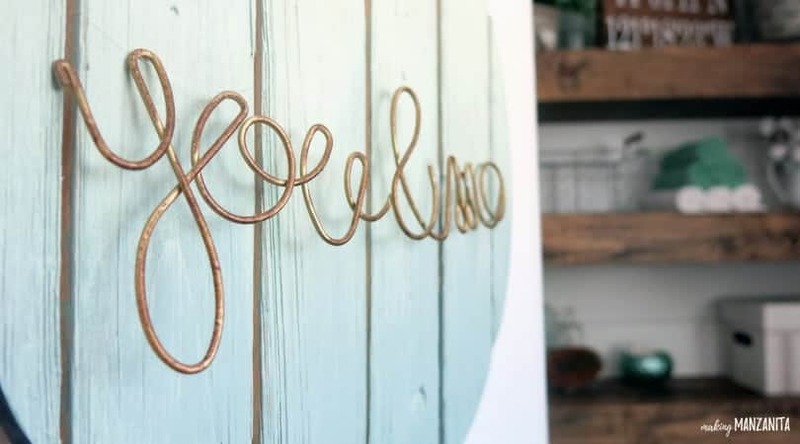 What type of ombre painted wood sign would you make? 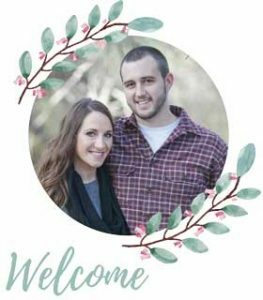 Check out the full room reveal for our farmhouse master bathroom where this ombre painted wood sign was made for! The video of our shiplap wall and floating shelves in our farmhouse master bathroom literally went VIRAL. It was even shared by BHG, Jordin Sparks and Scott Dudick. It was so cool to see something that we did get noticed by SO many people. If you are not one of the 20,000,000 people that saw this on Hometalk’s Facebook page, here’s a little time lapse version of our farmhouse bathroom transformation!